For a number of years now there have been RPG games for consoles and computers, many of them breaking new ground in this genre in one way or another. There are certainly some games that stand out more than others when it comes to these styles of games, earning themselves a place among the greats which will be remembered by fans for years to come. The Final Fantasy series has been a staple in RPG gaming for a long time now, and this particular installment is particular beloved among its fans. Perhaps one of the best things about this game is the unique cast of characters, specifically Cloud, who is the protagonist battling his way towards the final showdown with Sephiroth. There is absolutely no doubt that this Final Fantasy game stands out in the minds of RPG fans as being one of the very best sequels to the original which was first released on the NES. Another thing that makes Final Fantasy VII such a memorable and special RPG game is that it has aged very well. Despite the fact that there have been more recent installments with superior graphics, this game is still a great throwback to go through once in a while. For many fans it is not simply just a piece of video game nostalgia, but also a genuinely enjoyable RPG that has stood the test of time. At the time this game definitely gave something new to fans, and it remains as one of the greatest RPGs in the minds of many. There is absolutely no doubt that Fallout 3 is one of the best albeit depressing games to play through, with a kind of a magical charm that takes you into an entirely different apocalyptic nightmare of a world. With numerous quests that you can go through to kill the mutants that populate this baron wasteland, it really does create the correct overall atmosphere to really help you get into the spirit of the game. Between the amazing visual graphics and the radio which can be heard throughout the game, it is an authentic RPG experience to be sure. This demon-slaying RPG is without a doubt one of the most immersive and comprehensive games in this genre ever created to date. Creating a legion of obsessed and basement-dwelling fans, Diablo II has a very long list of positive things which make it a very memorable game indeed. 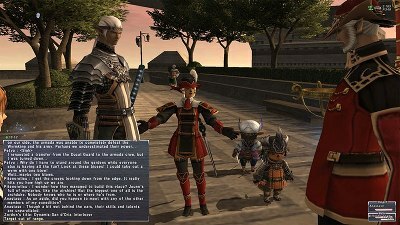 Although this game genuinely challenges its players, that is part of the reason why it has earned a reputation for being such an enjoyable game which offers a wholly unique experience for even the most experienced RPG gamer. Even though Diablo II was released over ten years ago and has since had another sequel come out, it is still considered to be one of theÂ 3 best RPG gamesÂ of all time. With a variety of unique characters and a vast land to explore, this game takes you into an entirely different world which isnâ? ?t very easy to take yourself away from. My name is Zack. Â Iâ? ?m a writer, web designer, Zazzler, constant reader, lifelong gamer .